There have been movements of societal transformation throughout history. Key leaders like Luther, Calvin, Knox, and Zwingli catalyzed the Protestant reformation. Approximately 200 years ago William Wilberforce and others spearheaded the movement fighting for the abolition slavery and slave trade. The civil rights movement in the USA brought about significant change and Martin Luther King was an audacious leader. Societal transformation implies good and lasting change. It is not about achieving perfection; there will always be room for improvement. Societal transformation can also be bad, like in Europe in the 1930s and 40s, ending with the Holocaust; or seen in the negative consequences of the Islamic revolution in Iran 1979 and onwards. Looking at the movements of societal transformation – for good – one can observe some common themes and denominators. Business as Mission / BAM is another movement for social transformation. Today there is a global BAM movement; it was not the case 20 years ago. There were expressions of BAM back then and even long before that. But now there is an unprecedented global cohesion and connectedness. The first global think tank on BAM (2003 – 2004) and the Lausanne paper on BAM (2004) helped catalyze a common global understanding of the concept. How can we shape business for God and the common good? The yearlong global think tank process has increased the connections, created global connectivity of key players in the BAM eco-system, with people from every continent. The global BAM think tank had approximately 30 national, regional and international working groups collaborating. Leaders from these groups plus other BAM leaders at large, about 80 in total, met at the Leaders Forum 22 – 24 April in Thailand. The largest global gathering ever of social and intellectual capital in the BAM space followed this. More than 550 people from over 40 nations came to the BAM Congress, 25 – 28 April. The Congress collaborated with a BAM Trade Fair, which followed right after, and it had over 200 participants. These BAM think tanks (2003 – 2004 and 2011 – 2013), these processes, meetings and the BAM Congress have been instrumental in building a global BAM movement, establishing a shared vision, developing common values, and facilitating a global network of BAM practitioners and other key leaders in the overall BAM eco-system. How about critical mass in the BAM movement? Without critical mass of sizeable BAM businesses we cannot see transformation on a macro level; on cities, cultures and nations. Critical mass, in the BAM movement, is yet to come, albeit promising indicators are emerging in some countries and areas. What about tenacity? 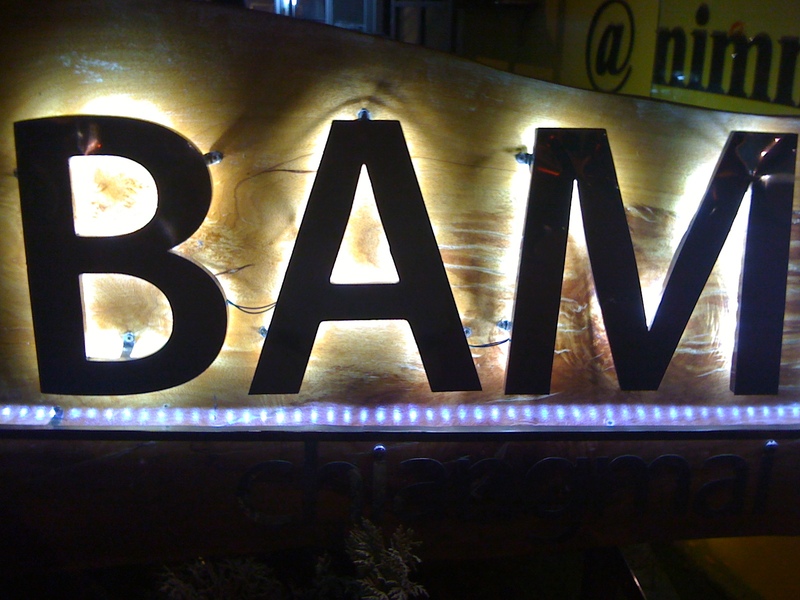 For BAM is an intergenerational issue, like other movements of societal transformation. BAM is not instant coffee: take a few bits of BAM thinking and stir into a business and voilà: transformation. No, societal transformation takes time, and we want to set a stage and serve our generation in such a way that it will be a blessing for many generations to come. We can learn from the olive tree. Many of us think in terms of two kinds of olives: green and black. But there are 1000 or more varieties. In the BAM movement we are not just two categories: business people on the hand, and church and mission people on the other. No, we are part of a greater eco-system, of investors, bookkeepers, prayer partners, entrepreneurs, academics, human trafficking experts, theologians, marketing and sales people, and many others. 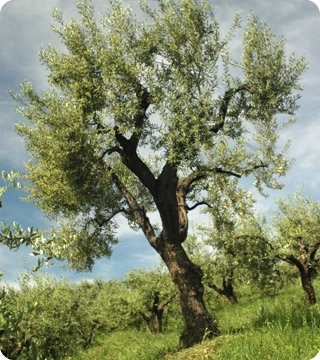 It takes about 25 years before an olive tree bears fruit, olives that can be eaten. But once it starts bearing fruit, it can produce olives for 2000 years or more. Olive trees are intergenerational blessings. The modern BAM movement is still young; we are in some ways still within the first 25 years of the life of an olive tree. We do see some fruit, but are eagerly awaiting more. But we need to nurture and care for the BAM olive tree in these early days of the movement. We want to build a movement that can bring good and lasting transformation, and we know it takes time. But we need tenacity; we must hold onto our vision, maintain our values, as we build BAM communities. We embrace the promise that God will bless us so we can be a blessing – in and through business – in our generation and for many generations to come. That is BAM and the Olive Tree. PS. The above article are related to my key note address BAM – The Movement, which I gave at the Global BAM Congress in Thailand late April 2013. Many thanks for an inspiring article. I loved the image of the olive tree. 25 years to grow from a seed to a fruit bearing tree which can last up to 2000 years. I thought of Christ’s life which has produced fruit for over two milleniums. May your own generous life continue to bear much rich fruit for us all. I’m looking forward to meeting up with you again in Seoul in June. it has now been almost 35 years since i started to see business as my spiritual service to the lord. The first 10 years or so i felt like i was being rebellious, it was years before i gained the confidence in the lord to become a leader. I think your artical is right on track and my prayer is that those coming behind us will be able to graft in to the trees already rooted and that they would bear fruit quickly. Mats, Thanks for the article. It explains the current situation with BAM movement and serves well the understanding for the body of Christ. The Olive tree is a great example for those who are called to serve within BAM, it is so clearly seen and felt in the Spirit. We have begun to see the fruit, but we are also setting a stage for the generations to come. BAM has to spread to nations untouched so far in the current generation so we would have covered much ground in our generation. We are working hard filled with hope. Glory to God!! Although I was not able to attend the Congress, I did experience the overflow into the Trade Fair. I, too, am a beneficiary of the ‘great cloud of witnesses’ and individuals like yourself and Al, who have been speaking what the Spirit is guiding you to say regarding this matter. It is as grandiose as starting a movement, but as microscopic as momentary dependence on our Father to bring it about. Under the umbrella of BAM, I’ve seen CAM (coffee as mission) begin to sprout. Many BAM seedlings are falling and to Al’s point, I hope (and pray) that the younger, socially-activated, generations resonate with and lead in a bigger way the 2nd generation of olive trees. Thank you for being a resounding voice in this movement.